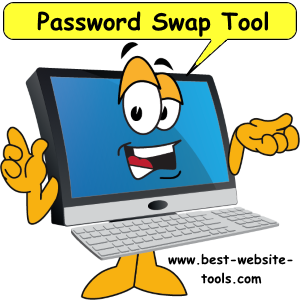 Password swap tool allows you to protect members only information. Create a simple membership website with this tool. Password Swap tool (PWS) creates a simple yet robust membership page. Do you want to password protect information on your website. Would you like to have a membership website without having to pay monthly fees? PWS is a one of a kind tool can do these functions. There just aren't any programs that can do all that in one tool, and for one low price, until now! Includes software and tutorial for installation. Use PWS tool for hiding content from public view. Members must contact you to see your special content. When logged in PWS tool reveals your membership only content. For this demonstration we have included a generic 'password.' Which is 'prices.' Please enter this word into the prompt. When new users request a membership they can enter their own password. Thank You for logging into Password-Swap. You are now free to enjoy our membership only content. Use the 'request password' link to get the password. Then click the 'login' to swap the information in this box. Notice how everything changes when the correct password is entered. The image becomes clear, the 'For Pricing' button swaps to an 'Add to Cart' button, and the 'login' button changes to a 'Subscribe' button. Even this paragraph gets swapped. Welcome valued member. You are eligible for the membership only information. We ask that you become a member to give you priority service. Many of our products include coaching, so we reserve this for members only. Please state that you are a member when contacting us. The logout button is optional. You can add this to your website or not. Here is the theory. Once a user successfully logs in there is only one reason for them to log out. And that is, 'they want to see if the button works.' However, without a log out function, members never need to login again. That is until the cookie is deleted. When a user successfully logs in a cookie is placed on their computer. Everytime the user returns to the website this cookie is read and the user is automatically logged back in. When a user logs out the cookie is removed from their website. You can place PWS tool on as many pages as you like. When logged in the user can move between web pages and remain logged in. If the user logs out s/he will be logged out of every page where PWS is used. Key benefits and features include. A correct password will swap only certain areas of content in the page. Works on any website page, one size fits all. Once logged in allows all subsequent pages to be logged in. Robust enough to work on all browsers. Password prompt closes after 3 failed attempts. Works 13 areas on the page, can be increased. Cookies the users computer so they don't have to login everytime. PWS is remarkably robust. It has been tested in many browsers and performs well in Windows PC, and Mac operating systems. Password protect information for members only. Capture leads for your business. Swap content only in certain spots on your page. Would you like to ensure your special content is only shared with members? You may have a special effect that you want to chagre for but don't need a whole new page or costly membership, PWS is ideal for that. PWS can be used as a lead capture mechanism. You can offer a special prize for members only. Then have them request a password for membership. Once the new user is registered you have the optin required for legal purposes. PWS can used for contests. Lets assume you want to give away a prize for the best submission. You can collect email addresses and reward those that enter the contest. Password Swap Tool does require your maintenance. You need to manually enter the passwords into the script. We do it this way because automatically appending the script leaves it open to hackers. Instruction for doing this are included with your purchase.